The Church of the Annunciation, Marble Arch, is an Anglican church in the Marble Arch district of London, UK. It is dedicated to the Annunciation to the Blessed Virgin Mary. The Grade II*-listed Edwardian Gothic Revival building was designed by Sir Walter Tapper. 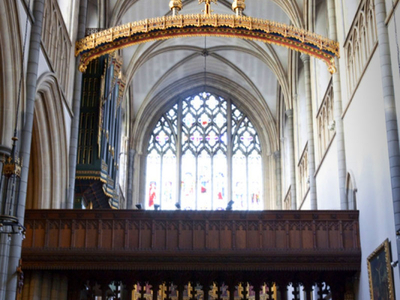 Worship at the Annunciation is in the Anglo-Catholic style and is supported by a tradition of choral singing. The church is closely linked to a local primary school, Hampden Gurney School. The head teacher of the Hampden Gurney school is Ms. Evelyn Chua. The Church of Annunciation is located close to Bryanston Square and Montagu Square in the neoclassical Portman Estate area of London, which was developed by Henry William Portman in the 18th Century. A chapel of ease known as the Quebec Chapel was founded on the present site in 1787 to commemorate the Battle of Quebec (1775). It is thought that this chapel was built on the site of the riding school of the Portman Barracks. By the early twentieth century the chapel had fallen into disrepair and it was demolished in 1911. 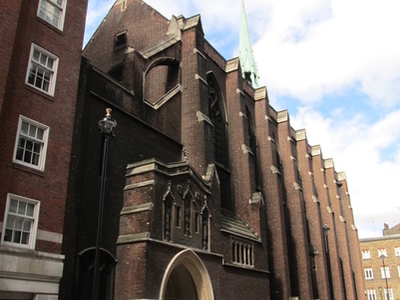 Here's the our members favorite photos of "Churches near City of Westminster". Upload your photo of Church of the Annunciation!